Developer Quote: "This basic version let you taste the look and feel of Inknotes a beautiful and innovative note taker, handwriting and sketch app..."
This elegant app is well designed and displays are based on a variety of views and panels. This allows you to have views with tools where you can interact with drag and drop gestures (move pages, assign stencils, etc). Be aware that this free version offer less than the full one available on the App Store. 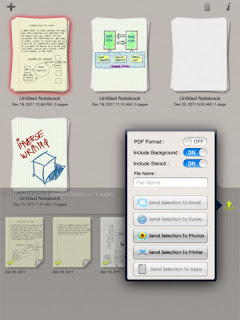 Enjoy writing notes and taking care of chores with this useful iPad app. 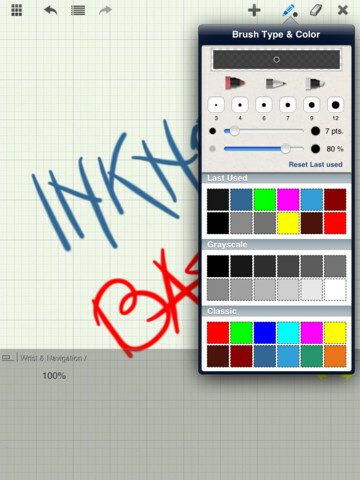 COOL CONCLUSION: "Inknotes Basic makes even the most simple note-taking activities fun and easy to accomplish with a finished attractive appearance!"